The Intermarche supermarket in Trégueux is taking a big step forward by choosing a new cascade refrigeration system that combines energy efficiency and sustainability. Now more than ever, Performax™ LT is the right refrigerant to meet the needs of large and medium size stores whose managers are looking to save energy. Mr Pierme, the manager of he Intermarche store in Tregeux agrees, "Every month we pay close attention to our energy consumption and do all we can to lower its substantial impact on our budget." Located near to St Brieuc in the department of Cotes-d'Armor, France, the 2,225m2 Intermarche decided to increase its sales floor by more than 30% (to 3000m2). Central Froid was consulted to replace the old cooling equipment that ran on R22, R408A and R404A. 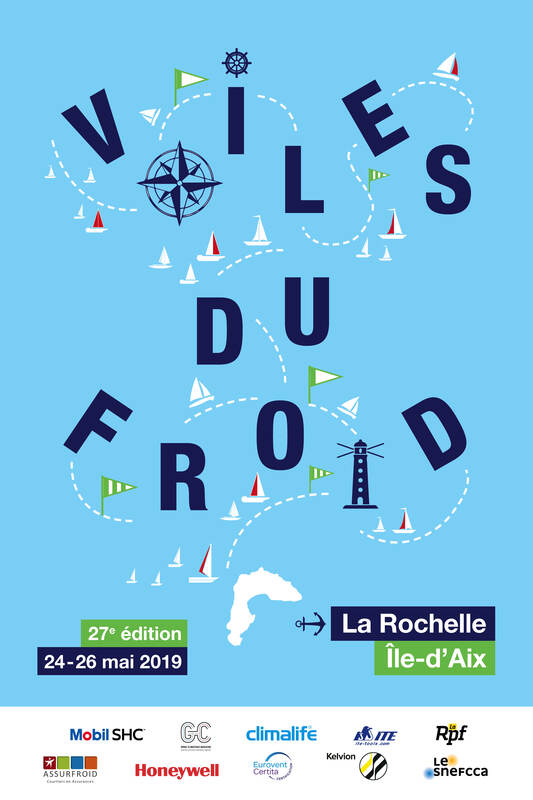 The company's geographic proximity and the recommendations regarding new technologies made by Mickael Rouxel, Director of Central Froid since 1st August 2008, attracted attention, and so work began in late 2011. The solution centred on a Performax™ LT / CO2 cascade installation for the environmental benefit of refrigerants and the energy savings of R407F. As the supermarket was not going to be closed during the expansion, technical solutions were needed to ensure constant refrigeration. The operation therefore proceeded in several phases over 4 months, with 4-7 technicians working to ensure the smooth-functioning of the operations. 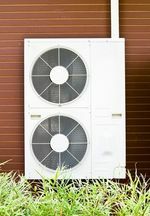 The refrigeration installer recommended that a CO2 / R404A system came first, in order to be able to continue working with the existing linear compressors that used R404A, and to add the new refrigeration equipment planned as part of the expansion. 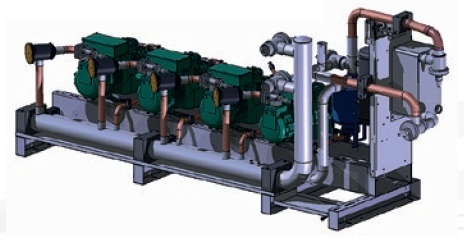 Designed following a detailed study of needs, the system is made up of two central HK Refrigeration units, each equipped with variable speed drives in order to limit energy consumption and short-cycle starts, and to manage the compressors' operation in order to best meet the needs of the various cold units. The Danfoss electronic expansion system is equipped with AKCC 550 and AKCC 750 controllers. The CO2 low-temperature central unit is made up of three Bitzer 2EHC-3K-40S compressors which supply four linear compressors and two -25C frozen chambers. The medium-temperature central unit, loaded with 500kg of Performax LT supplied by the distributor Rolesco (Rennes office), includes four Bitzer compressors (3 x 6h25-2Y / 1 x 6H35-2Y) and a floating HP, and generates cooling for 14 work rooms, the air conditioned premises, and 18 linear compressors. In the condensation section, a EXL 14A 50S SR plate heat exchanger with power of 150kW is installed to retrieve heat for the supermarket air heaters. Until April 2012 when construction was complete, the installation ran on R404A. Afterwards, a R404A/Performax LT retrofit was carried out at night, and completed in 8 hours. The installation was fully drained, the R404A was retrieved in accordance with regularatory requirements, and then the Performax LT was injected by the installation's liquid line. In order to avoid emptying the display cases, the installer recommended using dry ice. This measure also made it possible to avoid temperature increases and a resultant risk of CO2 leaks, due to the very high pressure of the fluid. Overheating adjustments were performed. 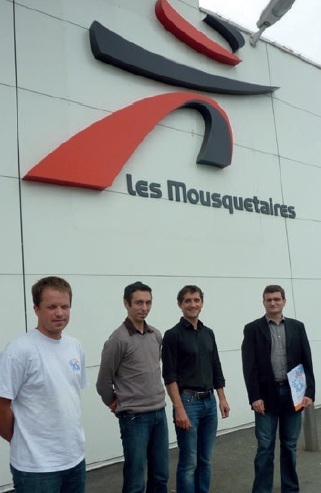 Direct cooperation between Mr Rouxel and the companies Honeywell, Danfoss and Climalife proved necessary in order to configure the electronic control system initially designed for R404A to work with R407F. This case study enabled the control system's manufacturer, Danfoss, to integrate his new refrigerant into their equipment. The same was true for Siemens, which was contacted for its Polycool expansion valve, which is installed on the CO2 evaporative condenser. On-site operating readings were taken on 16th August 2012. Three months after service began, the results speak for themselves. With more cooling units (12m more medium-temperature display case linear compressors, 10m freezer linear compressors, three air-conditioned laboratories added: pastry, fish, and a cheese counter), and a 30% expansion of the store, Performax LT has reduced the electrical bill for cooling, as it does not cause power consumption to increase. The absorbed current as measured with the Performax LT is 10% less on average than with the R404A. In practical terms, these energy savings match the theoretical estimated values. Already convinced of Performax LT's performance from previous installations, Mickael Rouxel was pleased with the results achieved using this new system. "This refrigerant is a reliable product that shows promise for the future. Since April 2011 we have been using it regularly and have had no negative feedback for the systems in service. No leaks have been found and there is no need to change the seals on the solenoid valves." This installer feels it is his duty to remind his end customers every day of the benefit of putting low-GWP fluids in order to preserve the environment and offer more energy-efficient solutions. "I'm 31 and after my years of working in Switzerland, I know that we need to take care of the environment and make it an important part of our lives."